You are here: Home / All posts / ‘Responsive and Responsible Leadership’ at Davos – but aren’t they ‘responsible’ for all this anyway? As part of the Post-Crash Economics Society’s blog takeover during Davos week, Will Davies, Director of the Political Economy Research Centre at Goldsmiths University, blogs on the World Economic Forum’s theme of responsible leadership. I wanted to get Will Davies involved in the blog takeover as he is someone who shines a light on the cultural and political implications of the current economy and how it effects society. Today, he questions whether, as one of the key institutions of international neoliberal governance, Davos is really best placed to challenge the ‘politics as business management’ mindset that continues to limit our range of responses to the crash of 2008. Davos has always set itself the question of addressing social challenges, but can the Forum really deliver? The theme of this year’s World Economic Forum annual meeting in Davos is ‘Responsive and Responsible Leadership’. ‘Responsive’ presumably signals a need to recognise the discontents that drove the populist uprisings of 2016, especially the election of Donald Trump as President of the United States. ‘Responsible’ meanwhile signals everything that Trump is not. It will be fascinating to watch how the assembled guests seek to understand the resentments, alienation and fury that have become so publicly prominent over the past year. How will billionaire businessmen, elite economists and neoliberal heads of state set about explaining the apparent irrationality of Brexit, Trump voters or nationalist insurgencies? Davos bigwigs tend to enjoy a little gentle anti-capitalism, though from carefully selected sources – Bono, Noreena Hertz, the Dalai Lama – and where the answer is merely a tweaking of business goals or measurement frameworks. But it’s much harder to imagine them accepting that the world is now diverging from their conception of it. The neoliberal vision of a borderless world, to be coordinated by entrepreneurs and international capital flows, will have to remain the orthodoxy, for without it the World Economic Forum couldn’t function. Trump: The triumph of ‘business as usual’ politics? In one important respect however, the world that is emerging today is a logical extrapolation of the Davos vision. Figures such as Trump have risen to power on the basis of a simple ideology, that the World Economic Forum has done as much to propagate as anyone: that the challenge of governing a nation is best conceived in the same way as that of running a business. This was clearly Trump’s pitch in his rise to power. He presented himself as a ‘deal-maker’, as someone who had so much of his own private wealth, that he would be beyond the reaches of lobbyists and the corrupt ‘swamp’ of Washington DC. Every time he was challenged on how he would deal with problems such as energy security, immigration or the economy, he referred quickly back to his alleged business acumen as a risk-taker and a decisive decision-maker (the fact that Trump inherited his wealth and has never proved a successful entrepreneur is a secondary point). Around Trump, we can see other examples of how seniority in the business world is viewed as a political qualification. The selection of Rex Tillerson, CEO of Exxon, as Trump’s Secretary of State was shocking for various reasons, not least that it appeared to represent a more flagrant business takeover of the White House than had previously been feared. The ideology of Trump advisors such as Peter Thiel and Steve Bannon is one in which entrepreneurs deserve all the power and freedom they can get, because they had the courage and desire to attain it. In the eyes of Thiel, there is no limit to how far entrepreneurial ‘creative destruction’ might go – space travel, the founding of new societies, the takeover of the state. Entrepreneurs don’t seek permission before acting, making them stronger and more legitimate than career politicians. In what sense did the World Economic Forum authorise this? On a rhetorical level, things could scarcely be more different. Davos meetings are obsessed with addressing ‘social’ challenges: being inclusive, alleviating poverty and disease, producing harmony around the world. The Davos ideal is that if only Angela Merkel can get around the table with Bill Gates and Will.i.am, then Europe’s refugee crisis might be solvable. It’s just that the solution must always begin and end with multi-national corporations and global finance. But underlying these warm intentions is the idea that the authority of politicians and those of business executives is one and the same. Both suffer the lonely existential fate of having to take major decisions, on behalf of large numbers of people, in the face of an uncertain future. Hence problems of business strategy are really no different from those of political strategy. Both require ‘leaders’ (and consider what a usefully amorphous word that is) to navigate a competitive, fast-moving world, in the hope of emerging as ‘winners’ not ‘losers’. One manifestation of this hybrid political-business philosophy is the discourse of ‘national competitiveness’, that the World Economic Forum has been the key conduit for since the late 1970s, especially via their Global Competitiveness Reports. Nations, from this perspective, are like enterprises that can be evaluated, scored and ranked in terms of their strategic advantages and assets. The dawn of ‘globalisation’, especially the greater freedom of finance and rise of foreign direct investment since the 1970s, was taken to mean that national leaders need to view their job like those of executives or entrepreneurs, managing reputation in the eyes of ‘customers’ (aka export markets and investors) and leading their ‘employees’ (aka citizens) towards a prosperous future. The work of Michael Porter of Harvard Business School has been crucial in knitting together a narrative (and associated methodology) which treats nations like corporations and treats corporations like nations. Terms such as ‘UK PLC’ are a symptom of this. Porter’s consultancy fees are another. There are a number of obvious flaws in this ideology. Companies can shed workers or whole divisions, if they’re not performing. What is the national equivalent? Presumably to simply abandon whole regions to their post-industrial economic fate. That philosophy also contributed to 2016’s political events, given the importance of ex-industrial, ex-mining regions to the election victories of Trump and Brexit. The World Economic Forum tends to avoid such realities by operating at the level of metaphor, merely seeking an ‘overlapping conversation’ between business and state; optimism is the order of the day, and there is little interest in the shortcomings of the worldview. Trumpism, on the other hand, pushes Davos-style thinking to its limit, arguably in a more consistent coherent fashion than the World Economic Forum will condone. If executive power is always the same, whether housed in a government, a Silicon Valley start-up or a global corporation, why worry about tedious ‘social’ and ‘environmental’ constraints? If authority consists purely in the courage to act – like the heroic entrepreneurs lauded by Thiel – why worry about malaria or inequality or climate change (all popular objects of concern at Davos) when you could be taking some real risks, like a real man? In 2017, the fear must be that those ‘Davos men’ worrying about ‘responsive and responsible leadership’ are about to be left behind by history. But it is history that they played a key role in shaping. 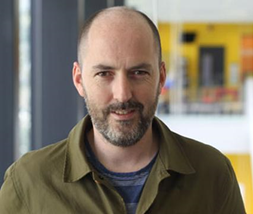 Will Davies is Co-Director of the Political Economy Research Centre at Goldsmiths, which explores critical, cultural and political perspectives on economic life, and Convener of the BA in Politics Philosophy & Economics. He is currently a Co-Investigator in the ESRC-sponsored Centre for Understanding Sustainable Prosperity. Prior to doing his PhD, Will worked in public policy for think tanks including Demos and the Institute for Public Policy Research. He writes regularly for a range of non-academic publications. These have included The Atlantic, The New Statesman, openDemocracy, Prospect and Chronicle Review.